The Number One Reason to Backup Your Photos! After two completely different experiences this year, one of which happened just this week, I’m writing about why backup of photos (and other files!) is so critical. Actually, to be safe, you’ll want to have three copies: one on your computer, one on a backup drive locally (in your location – traveling with you, home, office, etc.) and one in the cloud (AKA online). It’s called the 3-2-1 backup strategy and you can read more about it here. Before leaving on any trip, I always copy my important workshop files to my laptop from my desktop computer and create a backup to a Time Machine drive that I take with me. My wife follows the same routine. We shut down our respective computers at home and unplug them as a matter of practice. So far, that’s one copy on the laptop, one on Time Machine. Two copies, both local. We also have all of our computers, laptops and desktops, backed up to the cloud with Backblaze as an additional precaution. Backblaze is automatic and backups happen in the background while we work (just like Time Machine on Macs). We never have to consciously do anything; it’s a set it and forget application that works on both Macs and PCs. That’s three copies now: a belt, suspenders and a safety pin. With this much backup, what could go wrong? Plenty, if I only had the first two copies. The first time was in Paris in April (sounds romantic, doesn’t it? ), shooting reference photos for a children’s book. I could never have imagined that both my external library drive and my Time machine drive could fail in the same day but fail they did. And I have the bad habit of reformatting my memory cards after they’ve been backed up to Time Machine. Duh. My photos were gone! 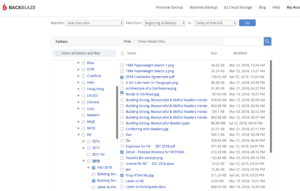 So, without getting into the details of what exactly happened, this would have been a disaster (not to mention unprofessional) without a cloud backup. 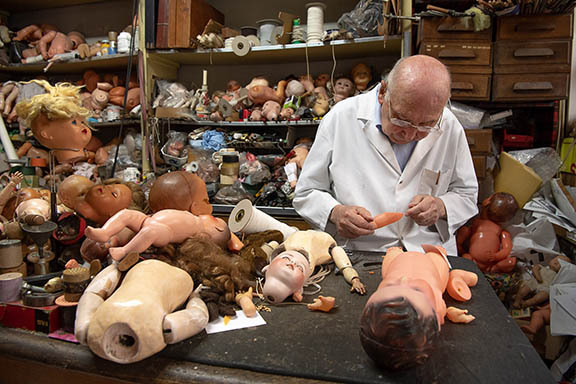 To make this potential misfortune even worse, the subject of the shoot was a crotchety 91-year-old toy repair man. He wasn’t about to let me take over his shop yet again, I’m sure of that. I located the photos on Backblaze and downloaded them to a new set of drives. Cloud backup to the rescue. Catastrophe #1 averted. This week and next I’m in Doha, Qatar, doing research for a future photo tour, while my wife, Vicki, works at the American School here. In our rush preparing for the trip, the wrong workshop folder went to Vicki’s laptop while the correct folder remained on her turned off and unplugged home computer. From our hotel in Doha, a simple login to Backblaze gave access to her backed up files. Catastrophe #2 averted. Both David Mark Erickson and I cannot emphasize to our readers just how important it is to use the 3-2-1 strategy. We recommend Backblaze because of its reliability, reasonable price and set it and forget it simplicity. But it doesn’t matter which cloud backup program you decide to use, no matter where in the world you may be, as long as you have internet, you have access to that third copy of your files. 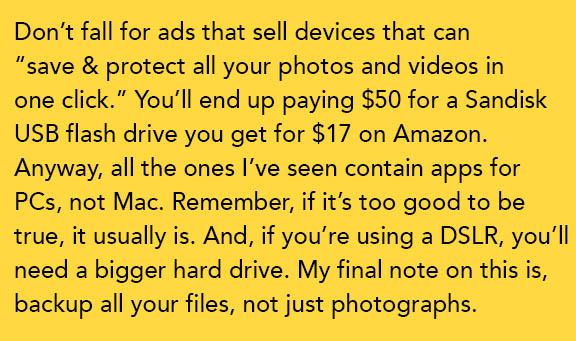 That means if your computer is lost or stolen (especially while traveling), you still have your photos and data. Note: Lightroom Guy is a Backblaze and Amazon affiliate. We receive a commission when you make a purchase through one of our links, but it doesn’t cost you anything while helping support Lightroom Guy. 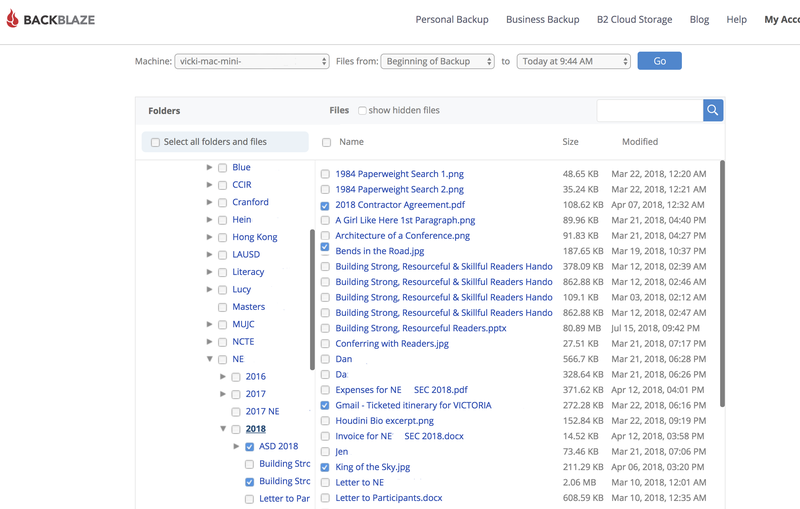 Does backblaze back up raw files ? I couldn’t find any info on their site. I have 7TB of data backed up with Backblaze. 4TB of that is raw captures. I believe all data formats can be backed up without exception.